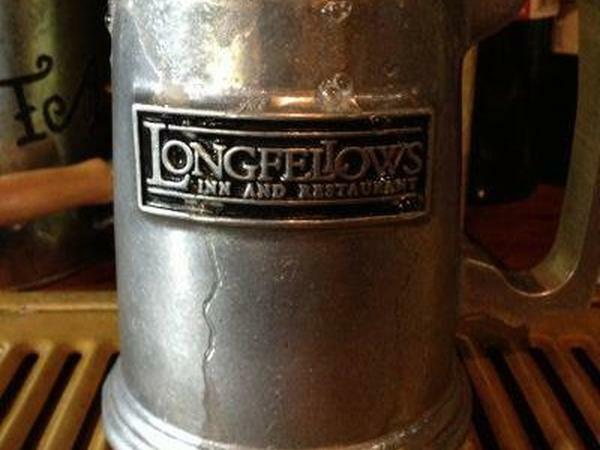 Make Longfellows your unofficial neighborhood hangout with a Mug Club membership. Our friendly social club brings people together in conversation and camaraderie over frosty beers served in old-fashioned, personalized mugs. Recognition as a bona fide member of the Longfellows family! The initial membership fee is $50, and memberships are limited. Apply today! Note: Mugs are also available as souvenirs for $35.00 each, plus tax.